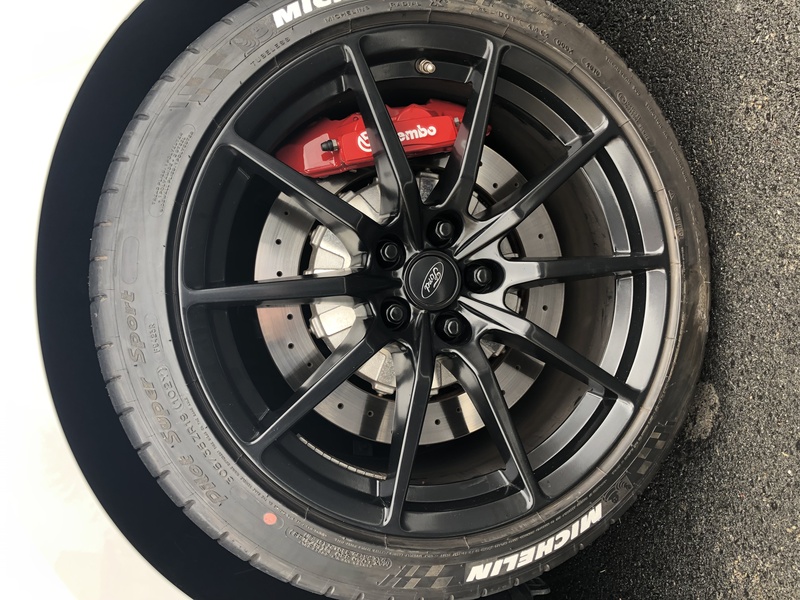 Thread: Help deciding on painting calipers (RED) or staying stock (GRAY). Additionally, has anyone figured out how to jack the rear end without using the differential? See page 287 of the owners manual for location of jacking points. Jacking rails are by far the best option, I honestly would avoid a lot of the easy maintenance on my car if I didn't have them. Do not jack by the differential under any circumstances. Last edited by GT_Dave; 09-25-2018 at 02:33 PM. has anyone figured out how to jack the rear end without using the differential? Two jacks...one under each control arm. Last edited by galaxy; 09-25-2018 at 04:28 PM. I just voted keep them OEM and only because usually OEM holds up better (not all the time). And I don’t know the color of your car? Color of your car - exactly what I came here to say; however, I tossed in a vote for red. Mine's magnetic gray metallic and I went red. My friend said they really stand out when I'm driving because the spokes of the wheels disappear. BUT, the best feedback by far is do what YOU want with YOUR car. Let us know which way you go. 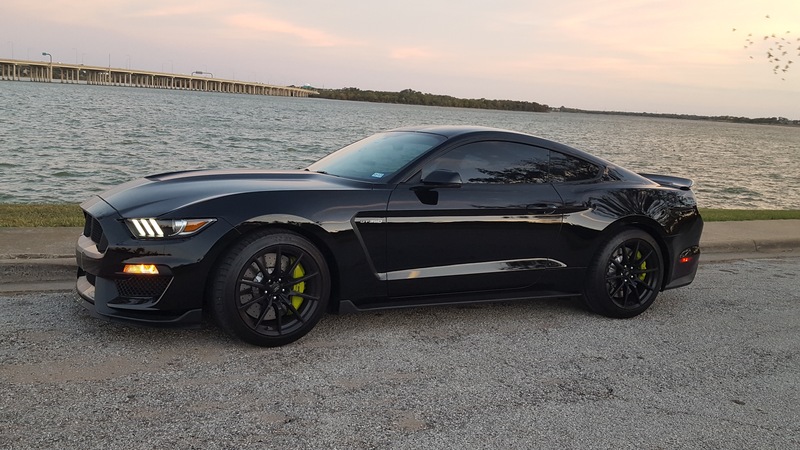 No matter what, you own and drive a GT350. I still grin like a fool every time I get in it, and it has been my daily driver for 2 years. My buddy's 350 is magnetic gray, white stripes with yellow calipers. Way better that red. It is stunning. We both used G-2 paint about 2 years ago. Still looks new. 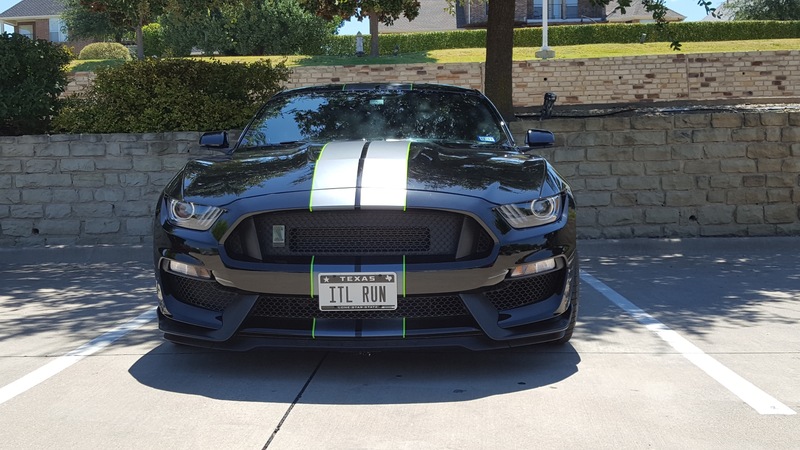 BTW, mine is Black with matte stripes, lime green border, lime green calipers. 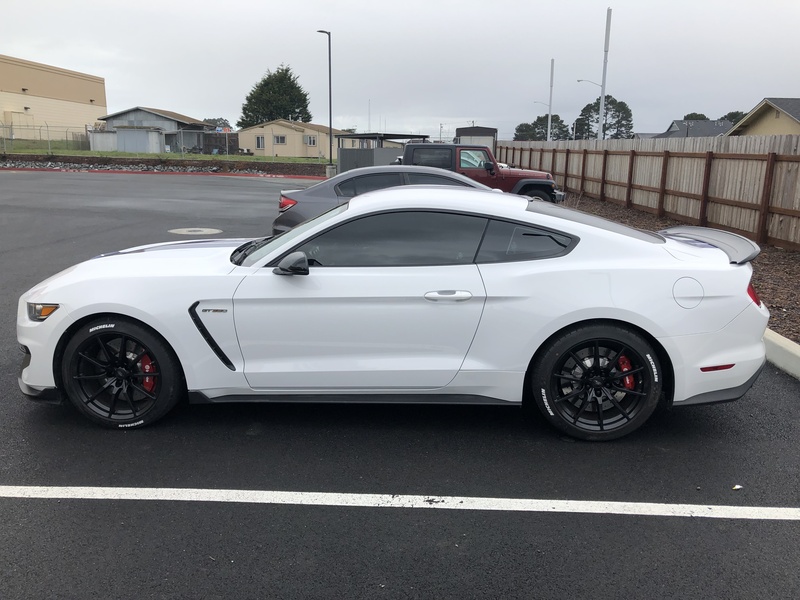 The Cars and Coffee crowd say it's the best looking GT350 on the road. Personally, I think the avalanche and lead foot are the best colors on these cars. I'd do yellow over red. 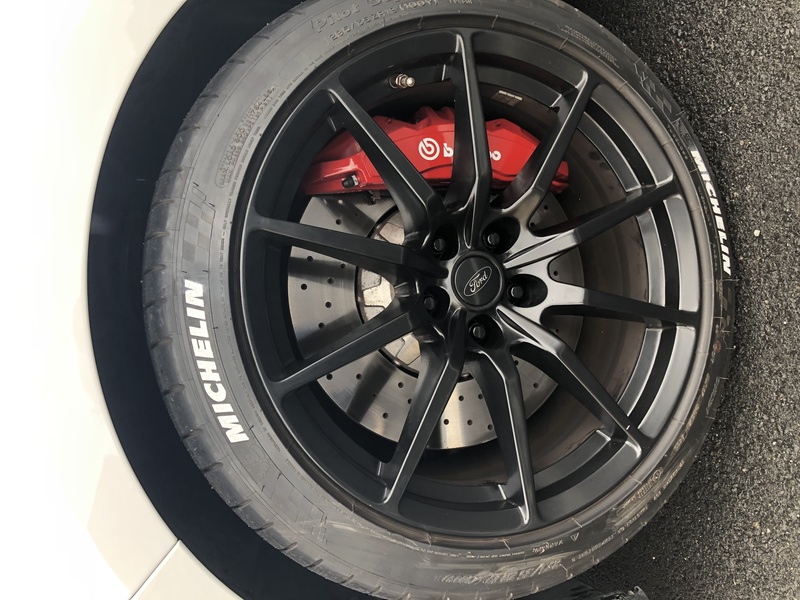 You should at least consider it before doing another red caliper car. IMO. Last edited by TXVoodoo; 10-03-2018 at 06:05 PM. NoXiDe and NorCalGal like this.